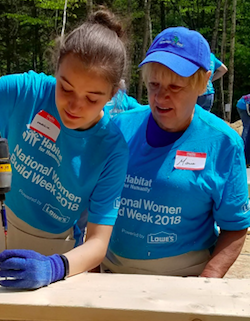 The 2019 Women Build Day for the Mt. Washington Valley Habitat for Humanity will occurr on Saturday, May 11, 2019. This year the build site is located in Sokokis Pines, Tamworth, NH.